How many of you have noticed the new favicon Google is sporting these days? Its more colorful and livid, than ever. Last year too Google had changed the favicon from the legendary 'G in a box' favicon. And now again it has changed its looks, to a more colorful one. Last year when the favicon was changed it was a small g with simplicity but now google has changed it to a more lively and colorful g. The font case is still lowercase but the background is resembling more to the colors of the Chrome Logo. To me its an okay favicon, because Google is known for its simplicity and elegance, which I find somewhat missing in this favicon. But the chaps at google might have something related with it so as to change it to such a bright one. How do you find the new favicon ? Woo i just remember I had to add my new one lol. Ha ha ha right as I got used to the blue g favicon! I think the new favicon looks terrible the colors aren't vivid enough for me. The font case is still lowercase but the background is resembling more to the colors of the Chrome Logo puted on steroids. i think that the old favicon is better than the current one too dark green is bad color " i hope they set the old back " . Yeah, I don't quite understand it. Nothing else changes much with Google. I always liked googles simple home page. But after a few years of looking at the same thing I like the way they change it for special occasions. I never noticed the favicon before. I prefer the old one. The current one looks like a paw. @ Money Academy -- You are right older favicon is better than newest. You are right thinking that they must be change it with older or with some another one. The New Google Favicon looks cool and all, but why is the color scheme the same as the Microsoft Windows Logo? Did anyone else notice that, it is pretty much the same 4 color patterns? Seems kinda of strange to me. I dont think its similar to windows logo... but yeah, it does follow 4 color pattern. @Gaurav-- you are right i am very much concern with you it look like that. 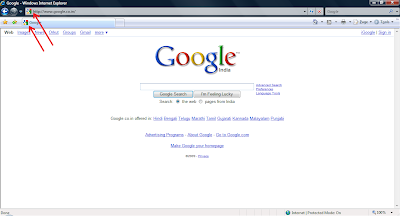 The new fevicon of Google is seeming better than last year. I think simplicity is the best thing forever. You are right it is much better than last year's favicon. Yeah, it certainly isn't as great as it could be. Granted though, its better than the other two, and certainly better than the capital G in a box they had. Google has created many favicons and hey have chosen this one, though I think there were better ones, but oh well. The root directory is the location of all your public html files. For example, if all of your html is located in a folder called webdocs in your GoDaddy file manager then webdocs would be your root directory. It's funny that a new favicon is newsworthy. I think the bright colors are a move in the right direction. The G in the box didn't stand out very well. As more and more sites created favicons, Google needed a way to stand out. Personally I think the colors are a little too reminiscent of the Windows logo color scheme. this is beautiful favicon. But i dont understand why all big website are makiing use of the same colors in there logos etc. Yes I agree that it looks much too like the Windows logo. I guess Google figures that the 3 primary color approach is best. actually previous picture was beautiful is not it? That's hilarious that a new favicon is news. I wish I had a website big enough that people would be talking about such minute details. I run a server with a few sites on it, and the Plesk used to administer the sites has a default favicon. I never tell it to us it in my HTML, but it always shows up on both IE and Firefox. I have to actually indicate a favicon in the HEAD for it to change it. It would have been a lot easier to answer your question If you had mentioned which browser you are using and does this happens with the single website or all the websites As per the what you are saying looks like the issue is could be with the browser might also with the website . It would have been a lot easier to answer your question If you had mentioned which browser you are using and does this happens with the single website or all the websites As per the what you are saying looks like the issue is could be with the browser might also with the website .i would say try a different tabbed web browser and also a different website. I run a server with a few sites on it, and the Plesk used to administer the sites has a default favicon. I never tell it to us it in my HTML, but it always shows up on both IE and Firefox.